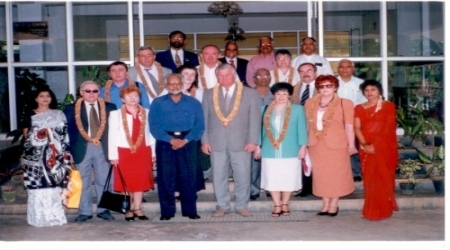 Since 2000, NIRB has facilitated several international study visits on reciprocal basis in collaboration with the National Union of Cooperative Banks in Poland. 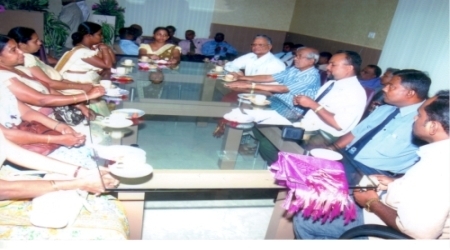 Besides, international exchange study visits a study visit for Directors of Karnataka State Coop. Federation to Malaysia, Singapore and Hong Kong was also organised. NIRB also collaborates with ICA-AP, ICBA, RCBA & COBI in conducting various events like meeting, seminars & conferences at national and international levels This year in January 2010, the Sri Lankan delegates from the Rural Development Bank of Sri Lanka attended a specially organized presentation on the "Role of Rural Development Banks in India and Staff Help Groups" at the Institute.